The Automated Laboratory Particle Counter ALPC 9000 is a fully automatic laboratory particle measurement system for hydraulic and lubrication oils. In addition, a very short measuring times permit analysis of up to 500 samples per day. 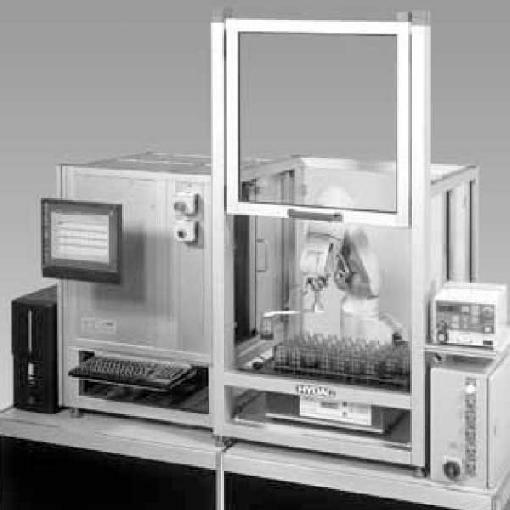 What’s more, different versions of the ALPC offer either automatic sample feed by means of 5-axis robotic arm (batch processing) or manual sample feed of individual sample bottles. Also, an “All-in-one” system including PC, keyboard and monitor. Robotic arm available as an option.